Thank you, Reece Lindenmayer, for writing about my solo show, “Protest to Power” at The Sentinel Newspaper in your article “BlackRock Features political and social art of local artists”. Dzikiewicz’s work explores the stories of women who changed history through protest, which includes suffragists from the early 20th century to modern women advocating for human rights. Her paintings “focus on the past and how it relates to the present” using encaustic, a mixture of pigment and beeswax manipulated with a blowtorch to achieve glass-like surfaces. Dzikiewicz’s work is somewhat reminiscent of Frida Kahlo, an abstract painter who also used strange scenes and subjects to symbolize alternate meanings. 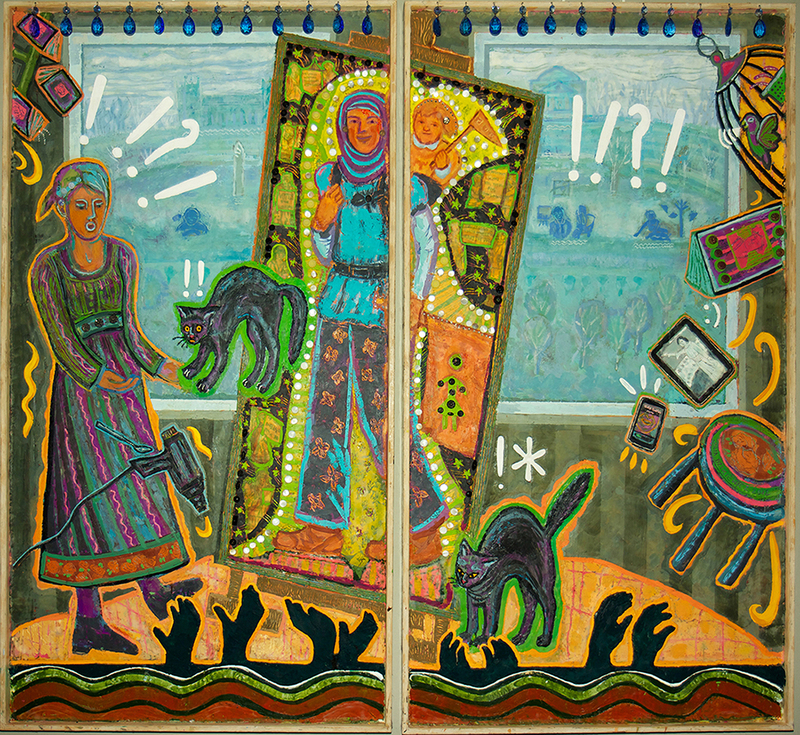 The paintings feature odd scenes like a woman on stage with various items being thrown in the air and a woman showering outdoors holding a bucket of limbs as she is scolded by an elderly figure.